To create a perfect thin line, start at the inner corners of the outside edge of the lashlines, drawing short, interconnecting lines. For thicker lines, draw over the lines a second time, adding slight pressure. Smudge with the Mary Kay® Eye Smudger Brush to soften. For a dramatic cat eye effect, extend the lines outward and upward from the outer edge of the eyes. 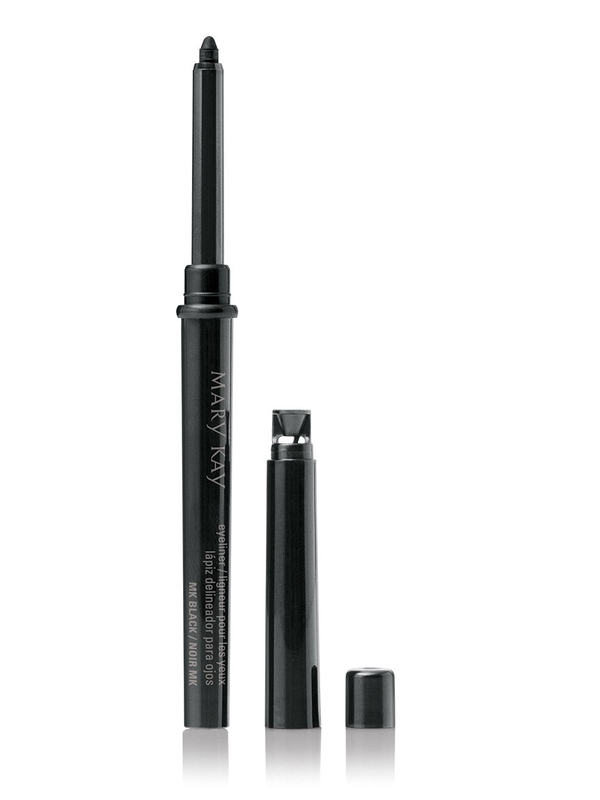 For artistic, multihued eyes: Use the angled, flat brush of the Mary Kay® Eyebrow/Eyeliner Brush to apply any shade of Mary Kay Chromafusion™ Eye Shadow as eyeliner, then apply Mary Kay® Eyeliner and blend. 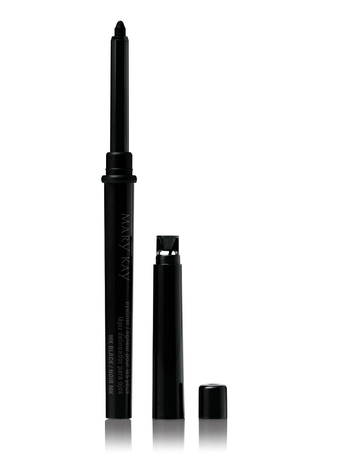 For lower lashlines, soften the look with the Mary Kay® Eye Smudger Brush. Cornflower extract – cornflower is known for its soothing properties and for helping reduce irritation.